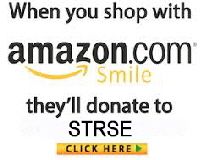 BECOME A VOLUNTEER WITH STRSE! Scottish Terrier Rescue of the Southeast is a volunteer run, non-profit organization. Our greatest asset is our volunteers’ the time, energy and expertise that they bring! The more volunteers we have, the more Scotties we can save! We need your help to make sure that no Scottie is left behind! STRSE is always looking for volunteers to conduct home visits, fostering, transport, and more. Sometimes we even require out of the area transport and we can use help from individuals that live in states outside of our Southeast region. If you are interested in volunteering with STRSE, please click the link below to fill out a volunteer application.